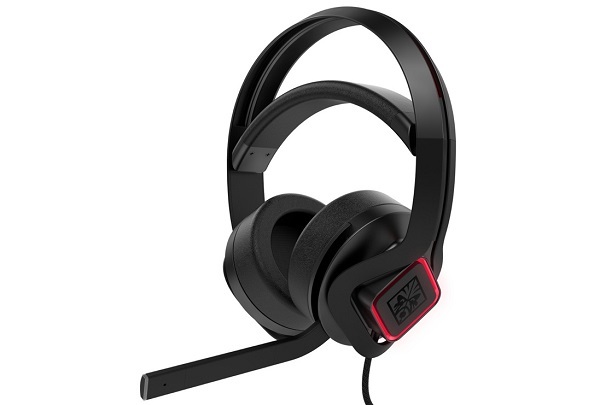 OMEN by HP Mindframe Headset is the the world's first gaming headset with active earcup cooling technology. Today at the HP Gaming Festival in Beijing, HP unveiled OMEN by HP Mindframe Headset, the world's first gaming headset with active earcup cooling technology. Integrated thermoelectric cooler in the OMEN by HP Mindframe Headset helps transfer hot air out and chills the inner side of each ear cup. A known source of discomfort for gamers is the warmth of their headsets10 during periods of extended gameplay. Nearly half of PC gamers (46%) cite comfort as the most important feature when purchasing headsets. The new OMEN Mindframe solves this problem, delivering the world's first headset with active earcup cooling technology. This revolutionary headset, coming later this year, is packed with cutting edge audio and designed with total comfort in mind. Tactical Immersion: Harness realistic positional audio and 3D spatial awareness with DTS Headphone:X and 7.1 virtual surround sound to track every enemy footstep. OMEN by Mindframe Headset is expected to be available in second-half 2018 via HP.com and other retailers for $79.99.